Ieyoub, in his capacity as attorney general of Louisiana from 1992 until 2004, was a tireless supporter of many Francophone activities. As attorney general, he was supportive of the Louisiana State Bar Association forming the Francophone Section of the Louisiana State Bar Association. Acting as a delegate of that association he, along with Federal Judge Jay Zainy, led a delegation of several judges and lawyers representing Louisiana at the Quebec Bar Association convention in May, 2001. Further, Ieyoub helped to pass several important resolutions of the state legislature, including Senate Concurrent Resolution No. 159, which urged the Queen of England to approve the request for the petition of all Acadians seeking an apology for the Acadian Deportation. This resulted in Queen Elizabeth II signing the Royal Proclamation in 2003. He also supported Concurrent Resolution No. 30 of the Special Session of 2002 urging all citizens to support the celebration of the Congrès mondial acadien 2004 as well as encouraging all Louisiana lawyers, judges and professors to participate in all of the events sponsored by the Francophone Section of the Louisiana State Bar Association in conjunction with the celebration of the Louisiana Purchase Bicentennial in 2003. At the meeting of the Francophone Section of the Louisiana State Bar Association and the Bar of Quebec in May, 2001, there was a great amount of interest generated for the exchange of attorneys with Quebec and attorneys from Quebec qualifying to take the Louisiana State bar examination. As a result, several attorneys qualified to take and did pass the bar examination and are now practicing in Louisiana. During his term as attorney general, Ieyoub was a zealous protector of all things Cajun and defended the various laws which were passed by the legislature to ensure that Louisiana products were “certified Cajun” and not merely imposters from foreign countries seeking to usurp the economy of Louisiana by utilization of our cultural monikers and symbols. A Lake Charles, Louisiana native, he received his Bachelor of Arts degree in history from McNeese State University and his Juris Doctorate from Louisiana State University Law School. After graduation from law school, he served as a Special Prosecutor for three years in the Criminal Division of the Louisiana Attorney General’s Office. In 1984, Ieyoub was elected District Attorney of Calcasieu Parish. In 1990, he was re-elected District Attorney without opposition. 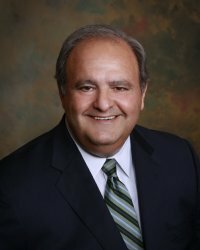 During his tenure as District Attorney of Calcasieu Parish, he served as president of the Louisiana District Attorney’s Association. He also served as president of the National District Attorney’s Association and, as leader of that association, he was instrumental in helping the administration of President George Hebert Walker Bush pass the Crime Bill of 1991. President Bush also appointed Ieyoub to serve as a member of the National Commission on Model State Drug Laws. In 1991, he was elected to his first term as Attorney General of the State of Louisiana. He was re-elected to a second term in 1995, obtaining over one million votes. No other candidate in the history of the state has ever obtained over one million votes twice. He was re-elected to his third term without opposition in 1999. During his three terms as Attorney General, he made improving the quality of life for the citizens of Louisiana a top priority by fighting crime and standing up for children and families. While serving as Attorney General, Ieyoub personally argued more cases before the United States Supreme Court than any other sitting Attorney General. Attorney General Ieyoub lead Louisiana’s lawsuit against the tobacco companies to recover monies expended by the state Medicaid program for the treatment of smoking related diseases. Louisiana received 4.6 billion dollars in the settlement of this case and the tobacco companies were forced to cease and desist in the use of cigarette advertisements specifically geared to appeal to minors. After leaving office in January of 2004, Ieyoub entered the private practice of law in Baton Rouge, Louisiana. His practice areas include civil and criminal litigation and appellate practice, governmental relations, strategic business developments, negotiations and dispute resolutions. In 2016, he was appointed Commissioner of Conservation by Gov. John Bel Edwards. Ieyoub served as a member of the Board of Directors of St. Jude’s Children’s Research Hospital and presently serves as a member of the Hospital’s Professional Advisory Board. Ieyoub was named a Distinguished Alumni of McNeese State University and the Roman Catholic Diocese of Lake Charles awarded him its “Outstanding Public Servant” Award. In 2005, Ieyoub received the New Orleans City Business Leadership in Law Award.